Graham Baba Architects designed in 2006 this beautiful seaside residence situated on the Lopez Island in Washington. A remodel involving the removal and recycling of the original 1960s split-level house and the design of a home that’s more connected with its location. The island residence is comprised of several natural materials associated with the Northwest vernacular, including exposed wood, iron, glass, and local fieldstone. 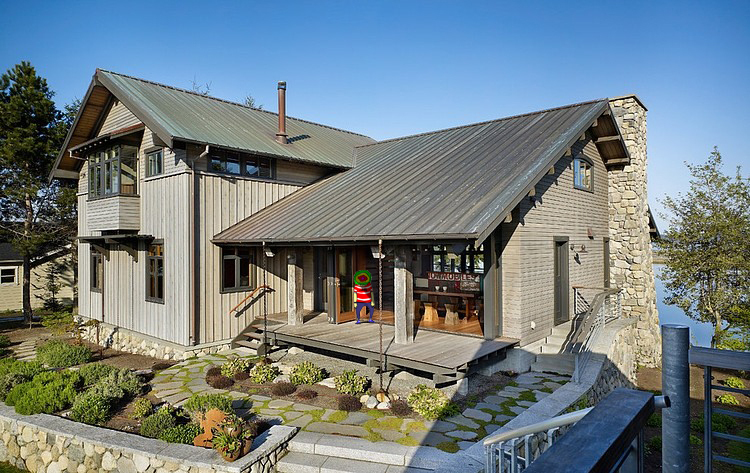 Exterior windows provide a continual view of the San Juan Islands region, while the architectural elements and materials reinforce the Pacific Northwest locale. Deep overhangs protect the interior spaces from overheating during the summer while letting in the much-needed low sun during the winter. The open floor plan allows for amazing views from all positions, making the Puget Sound environs a constant in the residence and tying in beautifully with the physical elements of the house. 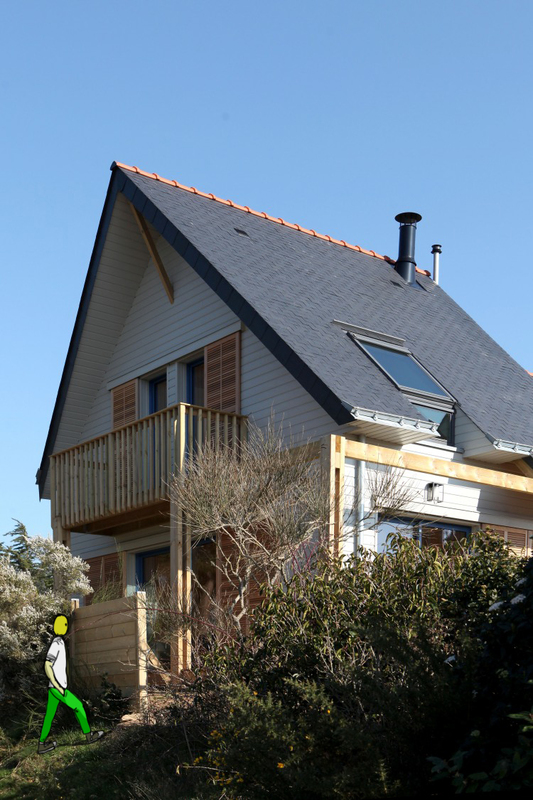 In buying this house in Baden, the owners wanted to adapt to a new life in the Gulf of Morbihan by converting an existing dwelling into an energy efficient home using ecological building materials. Close to the sea and an ideal base for sailing, the house was originally intended to be a holiday home. The existing house was demolished and a bioclimatic dwelling made of a wood and concrete framework was built on the highest point of the plot in order to restore the original aspect of the grounds. The house has a lower ground floor built into the slope, an upper ground floor with terraces to the west and south and a third floor above. The main façade faces southwest with a gable offering views over the Gulf. Modern L-shaped two-storey single family residence designed by MC2 Architectural Studio located in Houston, Texas. The King residence generously unites the clients’ wishes for a resort-like space with the amenities and comforts of a single-family dwelling. The plan of the house follows the curve of the street with a bow and arrow formation. Tilt wall construction and a material palette of concrete, glass, and stone form the composition of the house located on a busy stretch of Memorial Drive in Houston. One volume houses the private sleeping quarters; the other contains the living, dining and entertaining areas. The living area is bounded by water with a lily pond to the north and a koi pond on the west where a glass bridge takes visitors into the outdoor living space with a summer kitchen and lap pool. The master bedroom/bathroom suite is bounded by gardens on both sides. Situated in Duluth, Minnesota, this lakeside residence originally built in 1880′s was recently redesigned by Salmela Architect. There is the notion in architecture of building upon the foundations of our predecessors both in theory and practice. As is the case with Hall House that seeks to reinterpret/re-imagine what it means to be modern migrants homesteading in a new city. 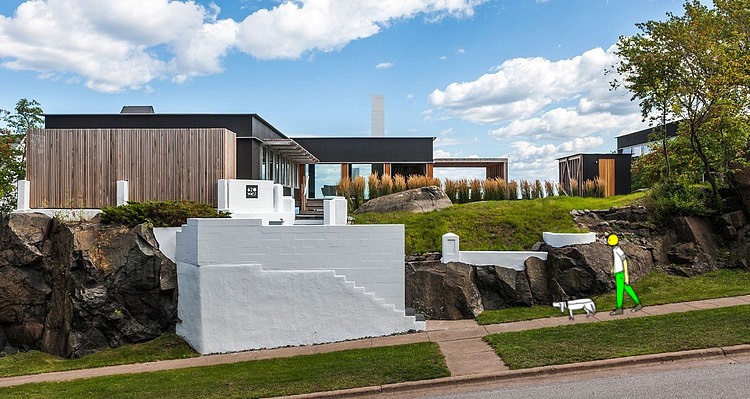 With the relative difficulty of constructing on ledge rock, effort was given to utilize several existing elements such as foundations, retaining walls and site stairs (all stained white) and to construct simple masonry piers for the addition. The new main floor opens onto multiple outdoor spaces that provide a variety of opportunities for the owners to enjoy the light and the beautiful views of Lake Superior. The goal of this new dwelling was to have it serve all the modernist values of openness, light, economy, sustainability, connection to the land, yet enhance the natural qualities of the site. 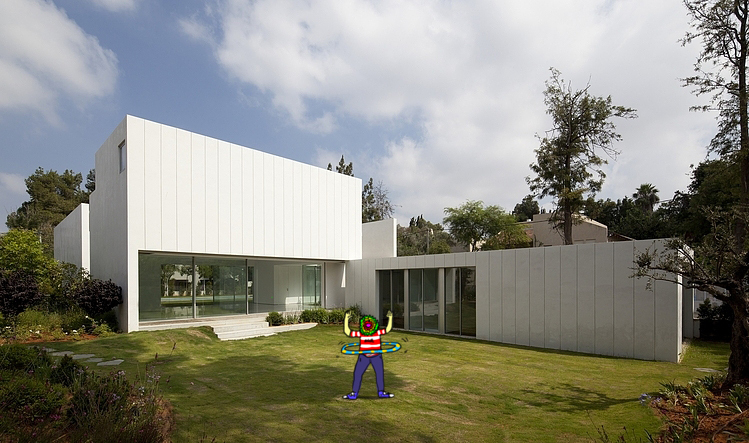 This is a Modern minimalist villa designed in 2011 by Paritzki & Liani Architects situated in Tel Aviv, Israel. The Savyon residential area was built to guarantee a pleasant isolated life outside the city limits. The house design is based on the letter “lamed”, and consists of two vertical marks pointing in opposite directions and connected together by a horizontal line. The house is thus constructed from two long narrow parallelepipeds with different orientations connected by a two-storied volume relating the two parts of the site. It stands in a secret and hidden corner of the neighborhood, protected by a roof of impenetrable greenery. Two main criteria lie behind the subdivision of the space: the generation and age of those living there, and its nature and vegetation. These are the underlying inspiration for the children’s quarters, the parents’ attic, the domestic areas connected to the greenery and the swimming pool, the apartments for guests and personnel, and the cinema built at a lower level and overlooking an internal courtyard.